With the advent of online trading, traditional trading is slowly being pushed into the oblivion. Before committing to an investment opportunity, it is always of vital importance to conduct a vigorous risk assessment while at the same time evaluating the probability of success. Binary options being an online trading venture is no different. Binary options are online contracts where the trader has the rights but not the obligation to exercise the options. In binary options trading, a trader does not own the underlying asset compared to other ventures such as stock trading and traditional forex. To start trading binary options, a trader has to access an online trading platform from which he/she can access financial markets. A binary options broker also offers a mobile trading platform to increase flexibility by facilitating trading while on the go. Today we have compiled reasons on why you should choose binary options. If you are a beginner, we would advise you to start with our binary options trading basics article .Also, we would recommend you read our article on why choose binary options trading over forex. Binary options are not only simple to trade but they are also very straightforward. The road map to binary options trading right from choosing a brokerage platform to making your initial deposit is fairly straightforward. Binary options trading is arguably the easiest form of financial trading in existence today. This is mainly because a trader is only required to predict the direction most likely to be taken by the market price of the underlying asset. After making a deposit, getting started does not necessitate previous financial trading knowledge. Placing a binary options trade is a 4-step process. First, a trader is supposed to choose the financial security to trade followed by the desired trading option. A trader is also required to choose an expiry duration which will define the length of the trade. Finally and most importantly, a trader is supposed to predict the direction of price movements in line with the selected option. After placing a trading, all a trader is supposed to do is just wait for the trading contract to expire. However, in some cases, a broker may offer trading tools which a trader can use to alter the length of trading duration. Decision to engage in an investing opportunity is always hinged on the risks facing the investment. If the risks outweigh the potential returns, the then investment venture ceases to be viable. Compared to other forms of financial trading, binary options trading has minimal risks which can be evaluated even before a trade commences. In a binary options trade, trading risks are confined to the invested funds and funds not committed in a trade are always free from risks. Meaning, the amount of funds invested is the maximum amount a trader can lose in a trade .Also, most binary options brokers offer a myriad of risk management tools .When tools provided by a broker are used effectively, they can greatly elevate the chances of getting a winning outcome. For instance, rollover and close early are the most common trading tools offered by binary options brokers. The rollover trading tool is used to lengthen the duration of a trading contract. This tool comes in handy when a trade is headed on a losing direction. By extending, the length of a trade, there is the likelihood of tables turning and the trade ending in the money. On the other hand, the close early tool enables a trade to close a trading position before trade expiry. Using the close early tool, a trader can lock-in profits without necessarily waiting for the trade to expire. Physical ventures are capital intensive and a small-time investor is always at a big disadvantage. For example, let’s consider real estate investment. A real estate investor works within the “buy low, sell high” adage. The capital requirements in the real estate industry are sky-high and unless you have a decent bank-roll, the real estate is not for you. Purchasing a single unit of a building in a prime location can cost upwards of $50,000. Additionally, other investment ventures such as stock trading are capital intensive. Buying shares of a given stock or a commodity requires a substantial amount of investment. However, binary options trading capital requirements vary from one broker to another. Binary options traders are able to invest small amount of their capital at a time which makes binary options trading very affordable. Interestingly, some brokers allow trades to place trade with as little as $1.The maximum investment is usually capped at a couple of thousands of dollars. Meaning, traders are at liberty to invest any amount of money on a trade provided the amount of the invested funds lie within the minimum and maximum limits. Also, it is worth noting that the amount of the invested funds is directly proportional to potential profit. The larger the investment, the higher is the profit. During the conception stage of an investment venture, a serious investor is supposed to project the expected returns. In real estate for instance, an investor can buy property worth $100,000 only to resell the property 5 years later at $150,000.the investor will end up making less than 30% profit when you minus the tax rates and maintenance costs among other expenses. Investing in stock trading is more of the same .You can hold on to a stock on for the stock to appreciate marginally a couple of years down the line. Even worse, the price of the underlying stock may not appreciate but on the contrary, the stock can lose value. Binary options trading is distinctly different from traditional financial trading .On the onset of a trade, a binary options trader is required to choose expiry duration. Expiry duration in this case is the period of time between the buying and selling of an option. To that end, binary options brokers offer a myriad of expiry durations .A trade can last as short as a couple of seconds or as long as a few weeks or months. That is, a trader can choose between short ,medium and long term durations. Binary options trading presents an opportunity where traders can make up to 90% return on capital in a very short time. Additionally, some high-risk options attract huge payouts which can sometime be as high as 1000%. As you well know, binary trading is a form of financial trading where traders leverage on price volatility of the underlying asset. In binary options trading ,you will always win if you correctly predict price movements opposed to criterion of magnitude of price change common in other trading modules. Binary options brokers usually offer a wide selection of tradable assets which are derived from the four markets: forex, stocks, indices and commodities. A trader can access multiple currency pairs common in forex spread trading; but this time, minus the spread. Actually, when modern binary options were born, they were initially a spinoff of forex trading. Currencies offered by binary options brokers can be grouped in 3 categories. 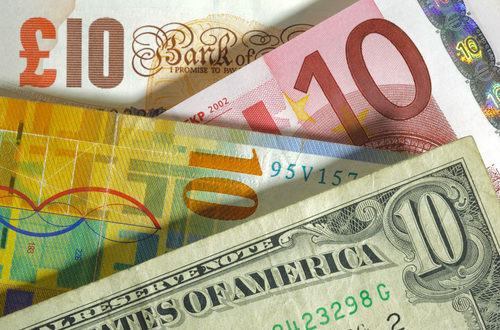 There is the major currencies category with forex heavyweights such as USD/EUR, EUR/GBP, and USD/GBP among others. Other categories include minor currencies and exotic currencies. The number of currency pairs available for trade is solely dependent the broker in question. A binary options trader also has access to a variety of global stocks. Most common global stocks include Microsoft, Amazon, AT&T, Google Apple and much more. Brokers may also offer a selection of regional stocks such as BMW, French Telecom and Gazprom among others. Read Are Binary Options Like Gambling? Traders can also access a wide array of stock indices such as Nasdaq, FTSE-100, DAX-30, DOW Jones and many more. Some brokers may even offer indices comprising of stocks from outside the United States. They may offer indices from UK, Germany, Japan, and France among other countries. A list of available assets can’t be complete without inclusion of commodities. Binary options broker may offer both hard and soft commodities. Hard commodities in this case include minerals such as Gold and Silver while soft commodities are agricultural commodities such as coffee and wheat. Binary options trading does not attract commissions or hidden fees. When initiating a trade, a trader knows what he/she will get at expiry. If a trades in the money after expiry of the trade duration, the trader gets the quoted payout, not a cent less. For instance, if let’s say a trader invests $100 on a trade with 80% quoted as the payout, the final payout will be $80 plus the initial investment. Binary options trading is undoubtedly the only form of financial trading where traders are not charged fees on deposits and withdrawals. However, it is important to note that some service providers may charge a fee to remit your withdrawals to your account. Physical availability is not a necessity in binary options trading. In fact, you can even trade in the comfort of your bed is you so wish. Binary options trading is achieved on online trading platforms (browser-based or downloadable) and hence you only require a stable internet connection and of course the starting capital. In addition, most binary options brokers offer versatile mobile apps which enable traders to react to market events while on the move. With cutting edge mobile apps, traders can keep an eye on trading positions and use available tools to manage the positions. Additionally, traders can securely upload and withdraw funds to or from their trading accounts with ease. Most brokers also offer support to their clientele 24/7 including weekends and holiday. Interestingly, some brokers even offer trading on weekends (but we highly discourage you from trading on weekends). Also see What do Binary Options Brokers do? Binary options brokers offer a wide assortment of trading tools which are developed to make trade customization easier. For instance, some brokers offer the option builder tool. With Option Builder, a trader dictates the terms of a trade starting from the underlying asset, expiry duration, trade prediction and the size of the investment. However, for the trade to go live, the broker has to accept it first. Another important trading tool offered by most brokers is the double up tool which enables traders to take advantage of a lucrative trading opportunity by doubling their investment mid-trade translating to more profit. Binary options trading is superior compared to other forms of online trading. Binary options’ trading is not only profitable but it is also very flexible, not to mention convenient. A trader can generate income from the comfort of his couch using the innovative mobile apps provided by binary options brokers. Also, binary option’s trading can be termed as a hybrid market considering the fact that traders have access to the four financial markets. You can trade currencies, stocks, indices and commodities in a single click. The upsides of binary options trading are countless. However, don’t let the simplicity fool you. Success in binary options is not as easy as it may sound. Sometimes you have to go out of your comfort zone to find a winning strategy. Although binary options trading is less risky, you should understand that risk is risk and once a risk happens, you either cut your losses or bear the blunt. Well, what are you waiting for? Click here to read our unbiased reviews on binary options brokers and start earning NOW!